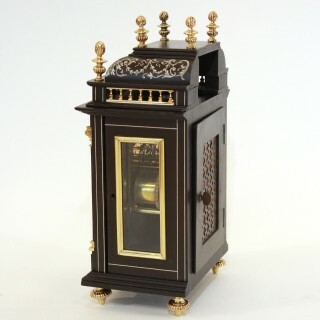 A very decorative small striking mantel clock dating to the late 1800s. 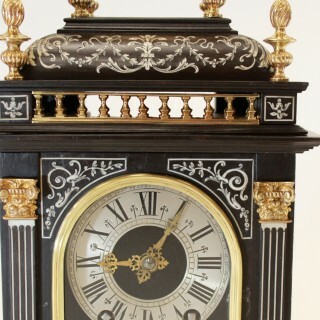 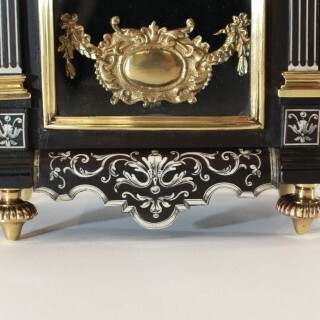 The style dates to Louis XIV Pendules Religieuse which were often in brass and tortoiseshell boullework cases. 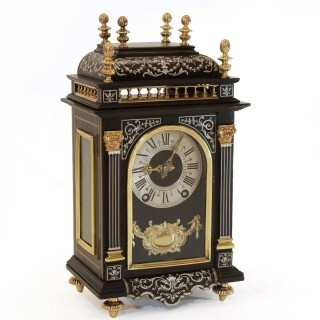 It is perhaps one of the prettiest table clocks we have had, the quality of the workmanship of the inlaid case being particularly fine. 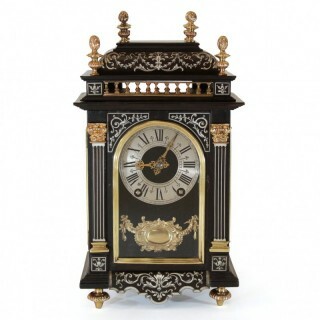 The oak case is veneered in ebony with delicate ivory inlay, the top with a brass gallery and surmounted with six finials. 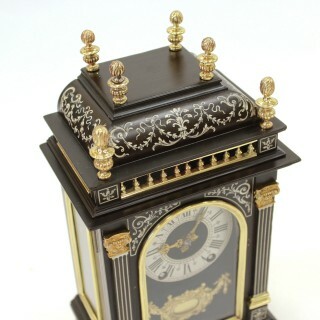 At only 11 inches in height and at just over 4 inches in depth, the clock will comfortably fit onto most mantelpieces. 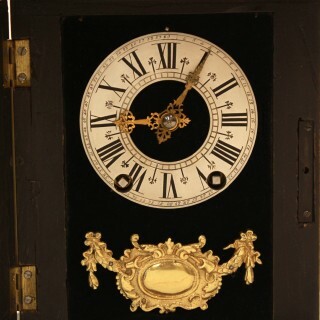 The movement has an 8-day duration, and strikes the hours and the passing of the half hour on a gong. 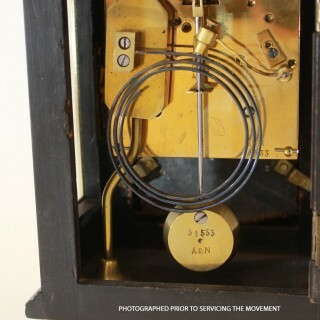 It is stamped A&N 31533, as is the pendulum. 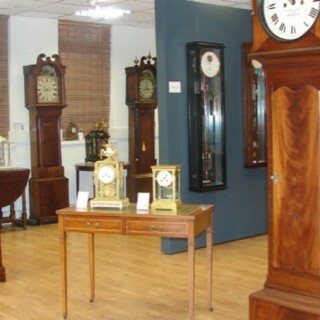 Photographed here prior to servicing, we shall be overhauling the movement prior to sale, and it will be sold with a 3-year guarantee. 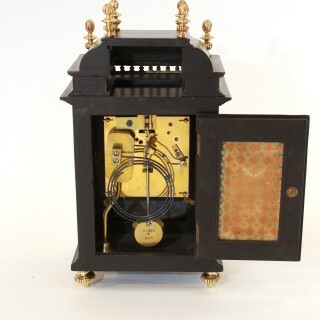 The 3-inch dial chapter is silvered, the Roman hour numerals within an outer ring of Arabic minutes numbered from 1 to 60.